It was a good week for bottomfish anglers on both sides of the Oregon-California border until windy weather sent anglers back to shore on Thursday and Friday. A few halibut are also being caught this week. Sportfishermen on both sides of the border were whacking bottomfish early in the week, with limits of both rockfish and lingcod reported out of Brookings and Crescent City. Cpt. 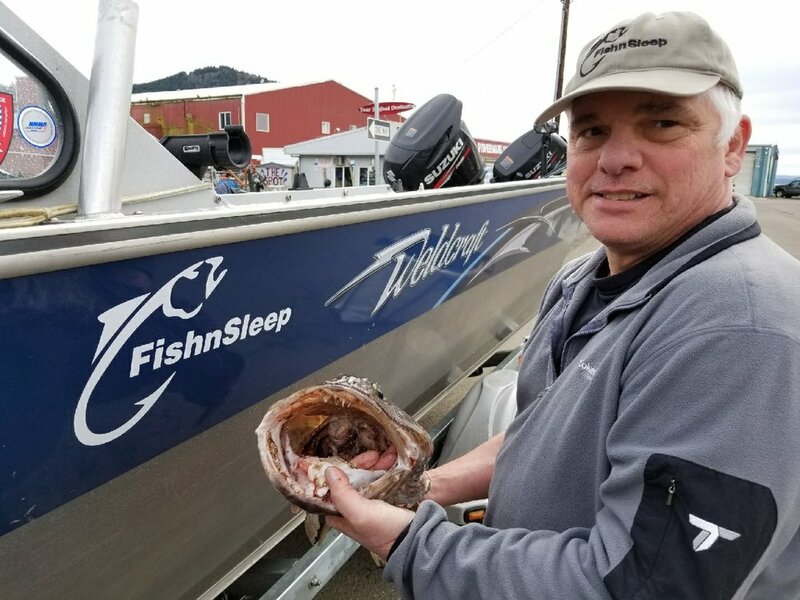 Jim Mitchell of Gotcha Hooked Fish Trips said he was able to catch limits of lingcod (two) and black snappers (three) while catching enough vermillion, coppers and canaries to fill out hisdaily back limit of 10 rockfish in two of his four outings this week. While the fishing has been good, Mitchell noted the drift was particularly strong even though the ocean looked calm early in the week. In Brookings, Cpt. 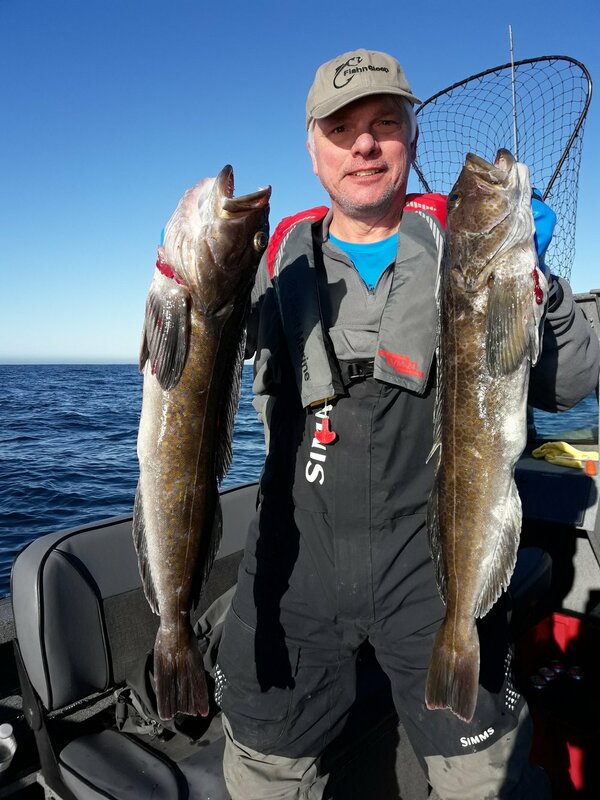 David Castellanos of Brookings River & Ocean Fishing said he also caught limits of lingcod and rockfish in both of his outings, before the winds started to pick up on Thursday. Although it’s still a little on the early side for prime Pacific halibut fishing, there have been a few hauled in once again this week. Castellanos said he has heard of a few Pacific halibut between 30 and 40 pounds caught in Oregon. Though there weren’t many more halibut caught in California, Ron Shellabarger nabbed a 60.5-inch halibut with Cpt. Keith Richcreek that Richcreek said weighed in at an estimated 108.9 pounds and was the biggest Pacific halibut he has ever caught. 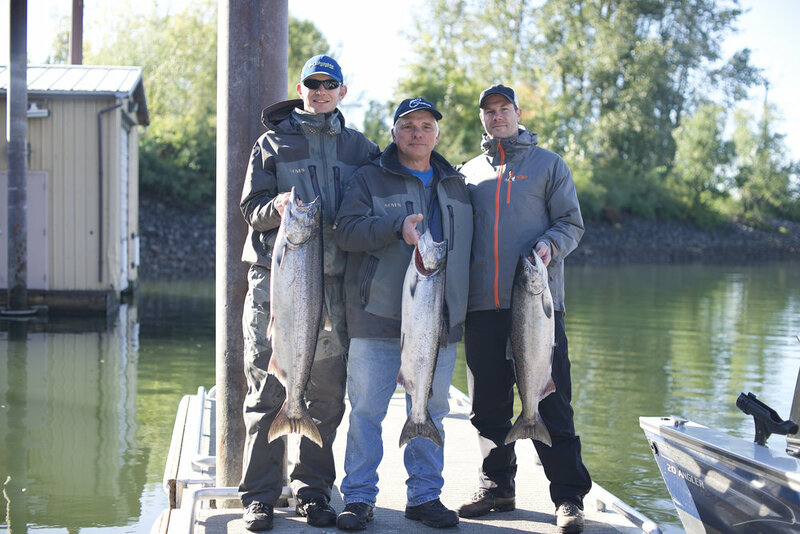 Ocean anglers in Oregon are now just a week away from the opening of the ocean salmon season, though anglers are getting some mixed signals about how well the salmon fishing will be in the first few weeks. 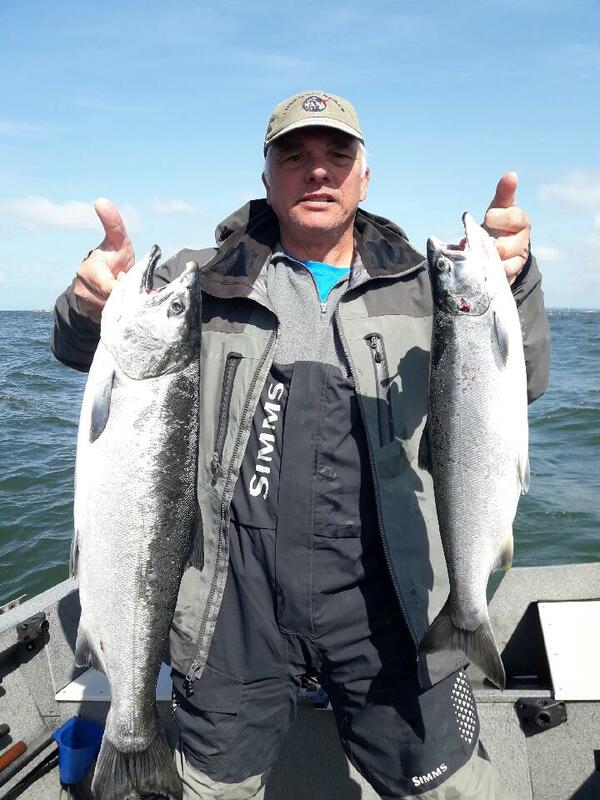 A couple incidental salmon bites while bottom fishing have been reported, though the commercial fishermen out of Brookings are reporting a slow start to the season.